My muse is having difficulties doing big art, so I'm playing around with Artist Trading Cards... specifically for two swaps I'm hosting on atcsforall.com; Recycled Envelope Liners and Recycled Bar Codes. 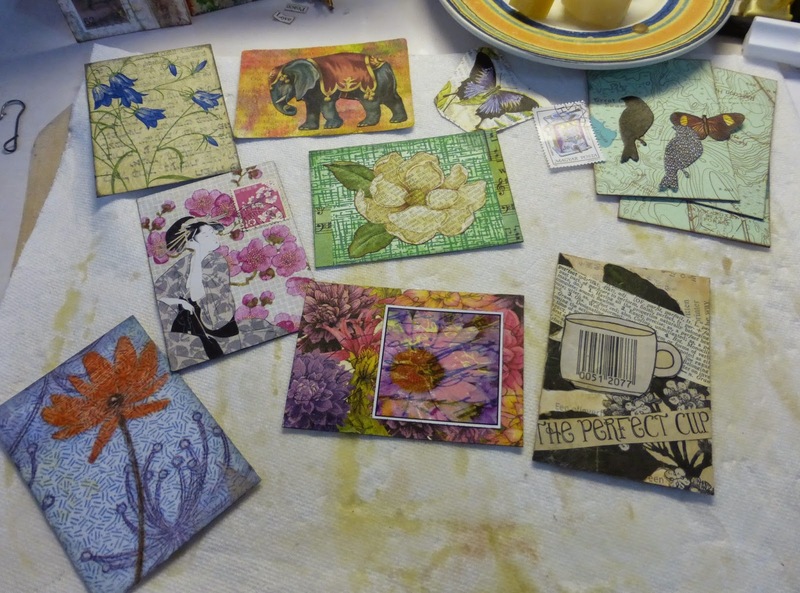 Three of the atcs sitting on my work table have an envelope liner as background, and tea cup is obviously a bar code. 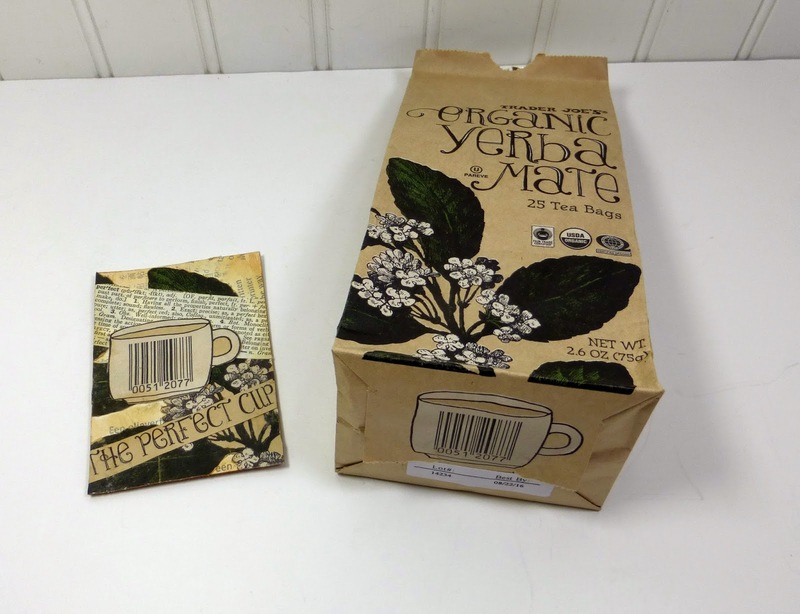 Love the Trader Joe's Yerba Mate tea, and the packaging is so creative! Nothing wrong with ATCs. A wonderful way of playing. I love to recycle stuff also for my projects. I love working small, and return to it frequently. Though I haven't made an ATC in quite some time! I'm lovin' yours and am thinking you may have inspired me! Gosh a lot of desker's this week seem to be making ATC's and yours look great, are you joining in the WOYWW desker's annual ATC swap? Your work is wonderful you should. I have never seen that tea before. Thanks for sharing and I hope you have a wonderful Easter. Hi Helen. Your ATC's are awesome. Love that bag from Trader Joe's. I rarely do ATC's and in fact tried it once but couldn't work small. Great job! Happy Easter. I agree, fab ATCs, particularly like the barcode theme, how inspiring!